This is a fun pattern that’s rarely used anymore, I hope you enjoy it! 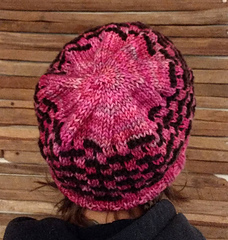 This is hat #12 in the 12 Hats of Christmas KAL happening on the Criminal Knits…for the Serial Knitter in all of us. Group right now. Come join us for all the fun. Approx. 200yds of worsted weight yarn for your MC, and about 100 yds of worsted weight yarn for your CC color. You need a great deal of contrast between them to make the “Morse Code” pop. 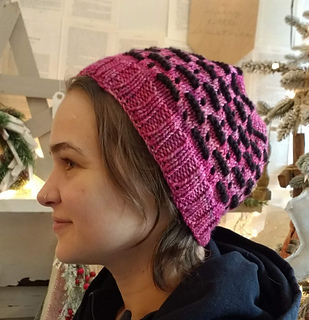 The sample was knitted using Malabrigo Rios.